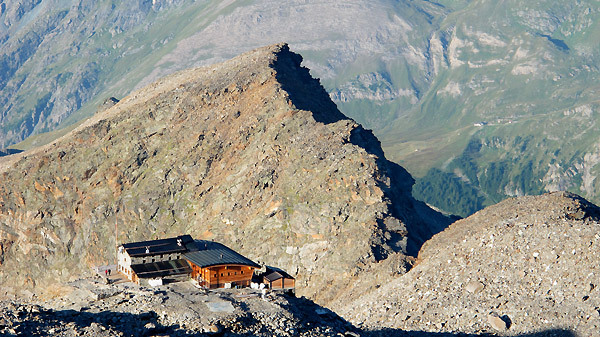 Fantastic and easy ascend into the heart of the Monte Rosa which allows you to reach the highest hut in Europe. 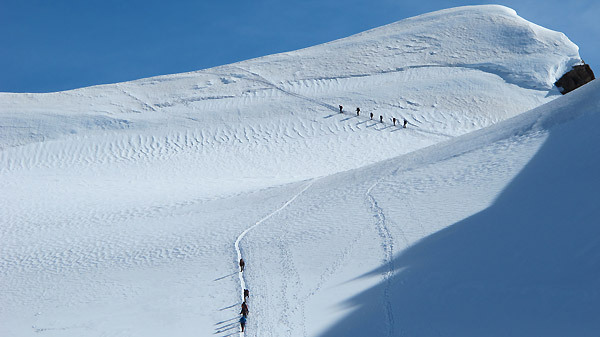 The ascend follows exclusively a glacier with low inclination. Just shortly before attaining the hut the slope starts to steepen and continues this way until reaching the summit. 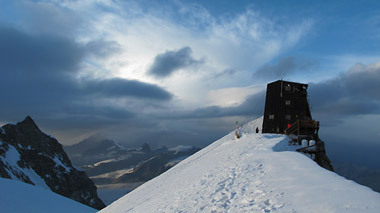 1st day: Ascend to the Città di Mantova Hut 3470 mt and accommodation at the hut. 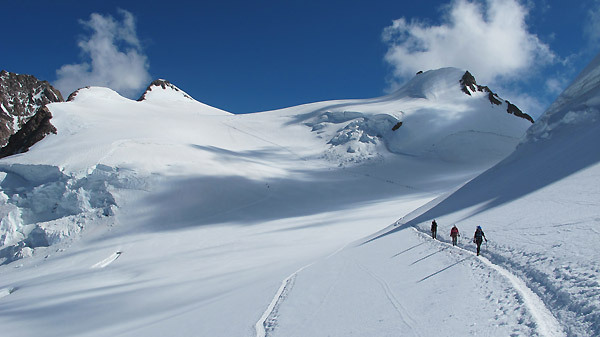 45 minutes – 1 hour from the cable car of Indren. 2nd day: Ascend of the Capanna Margherita 8/9 hours ascend/descend counting in the return to the car.